History - It has been used by all of the ancient civilizations in medicine, cosmetics, and perfumery. and has a reputation of being an aphrodisiac. Effects On The Mind - Although it has a tonic and stimulant action on the entire body, it also has the ability to reduce stress and tension. Effects On The Body - It is beneficial as an antiseptic and mild astringent and used particularly for bronchial, vaginal, and urinary tract infections. It is helpful in treating acne. Cedarwood is often used for its expectorant properties on the respiratory tract and may help ease bronchitis and coughs. Note - Base. Cedarwood has a woody, warm fragrance. Cautions - Do not apply directly to skin without diluting in a carrier first. Cedarwood should not be used during pregnancy. Do not use on babies and young children. 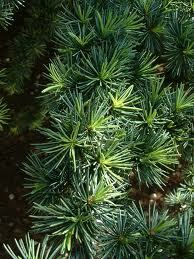 Cedarwood has a wonderful evergreen fragrance. Great for blending or on it's own. I love this on my dryer balls for fresh outdoor smell on my laundry.